The Lilac Wonder tulips were in bloom for about two weeks in our garden plot. They lasted long enough for a Mother’s Day appearance. These tulips remind me of a mom’s power. There is a bright ruffled circle formed from all the random yellow splotches on each pink petal. Order created from chaos. God’s design. A peaceful home forms as a mom prays and loves each stress splotched life into the center of God’s grace. 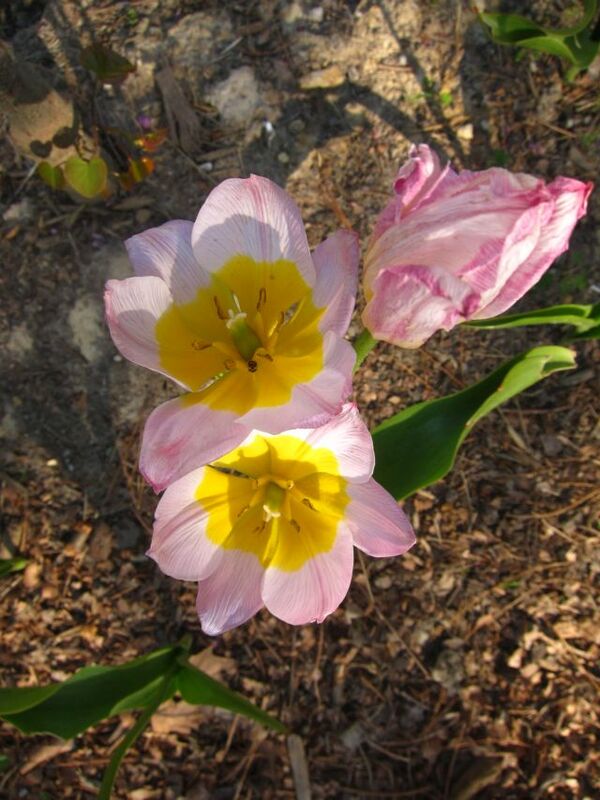 Tulip tip: Do not cut the leaves, let them yellow. Yellow leaves on tulips are a sign that the bulbs have stored enough energy and are now ready to go dormant until next spring. If the leaves are cut off before they go yellow, the bulbs will not get enough energy and may not produce a large flower or survive a winter.